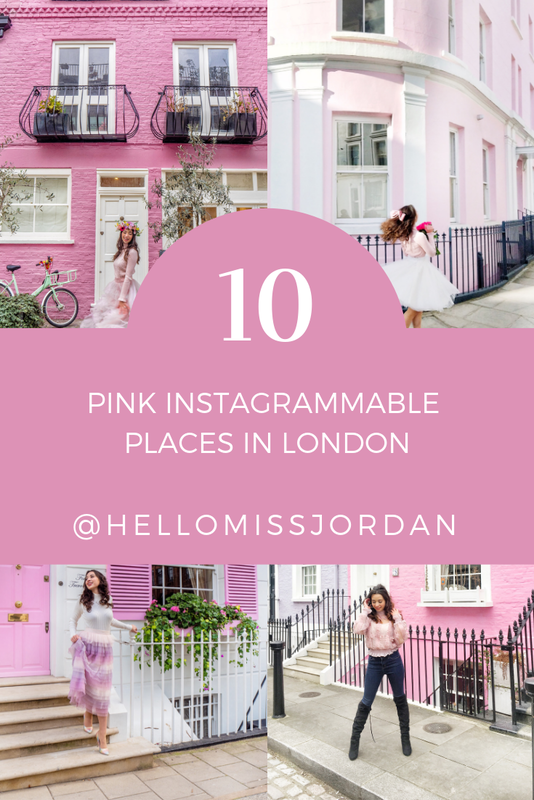 It's no secret that I'm a huge fan of all things pink, and that includes places! 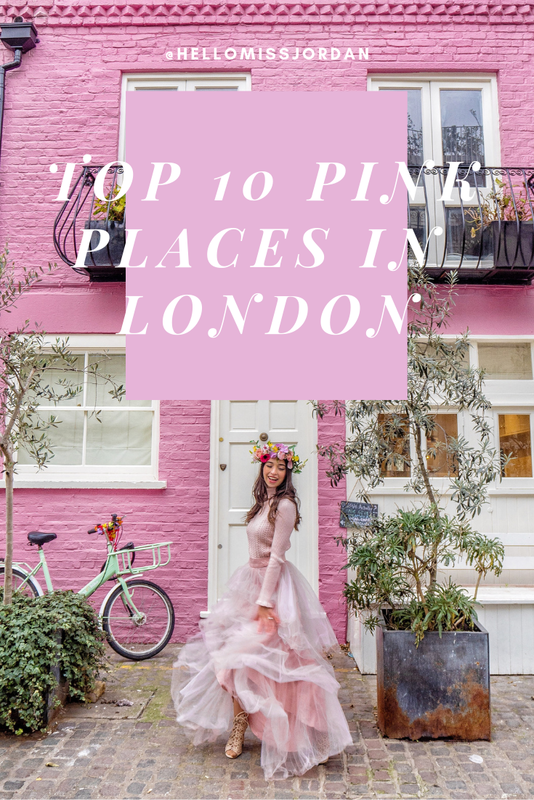 Wherever I am around the world I'm always on the hunt for the prettiest, pinkest places and luckily I live in London - home to a whole lot of pink! 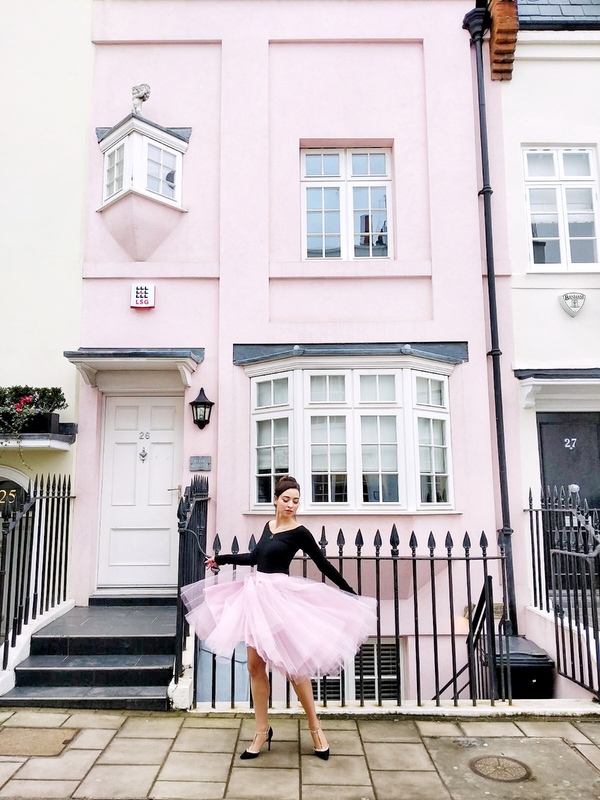 I always get asked what my favourite spots to shoot in London are, or if I have any suggestions for pink houses to visit, so I thought I'd create a little blog post to summarise 10 of my favourites. 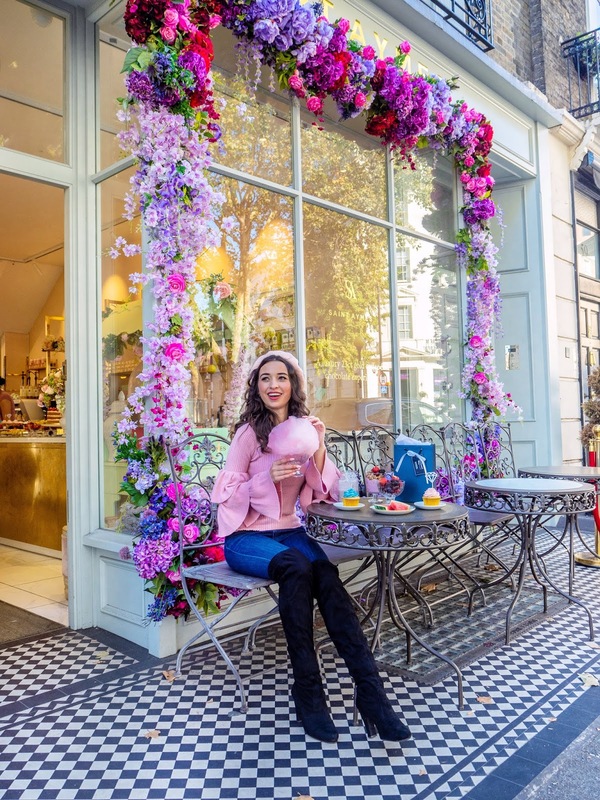 So read on and hopefully this will give you some inspiration for some gorgeous locations for your next trip to the big smoke! I obviously couldn't create a list like this and not include Peggy's could I?! Some people really hate this place because it's basically an Instagram hot spot, but I never tired of its beautiful exterior and unique and creative displays. The cakes are also pretty yummy (although pricey!). If you want to visit here, do it early because it gets very busy later in the day. One of my favourite houses, this one often gets referred to as 'Barbie's House' and I'm sure you can see why! 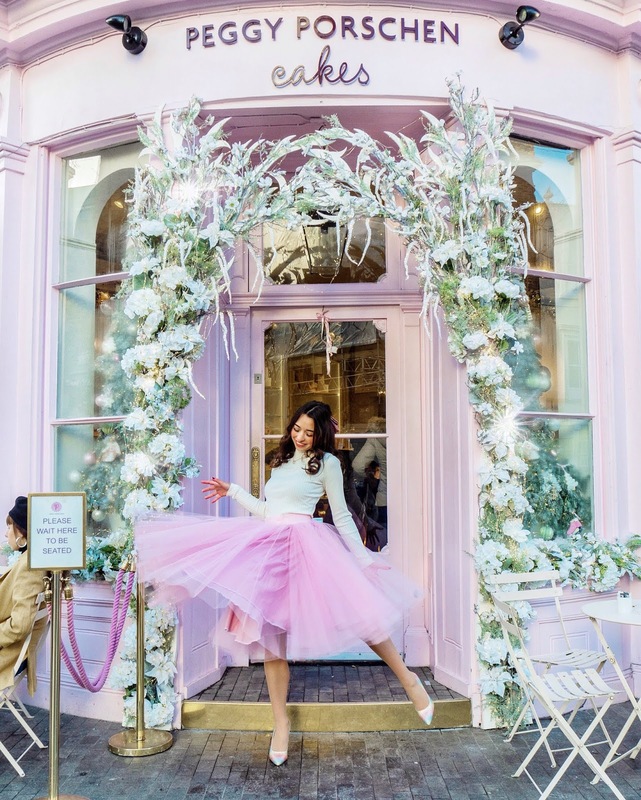 It's just too gorgeous to handle and is just five minutes round the corner from Harrods, which I'm sure would be Barbie's favourite shopping spot if she actually did live here! 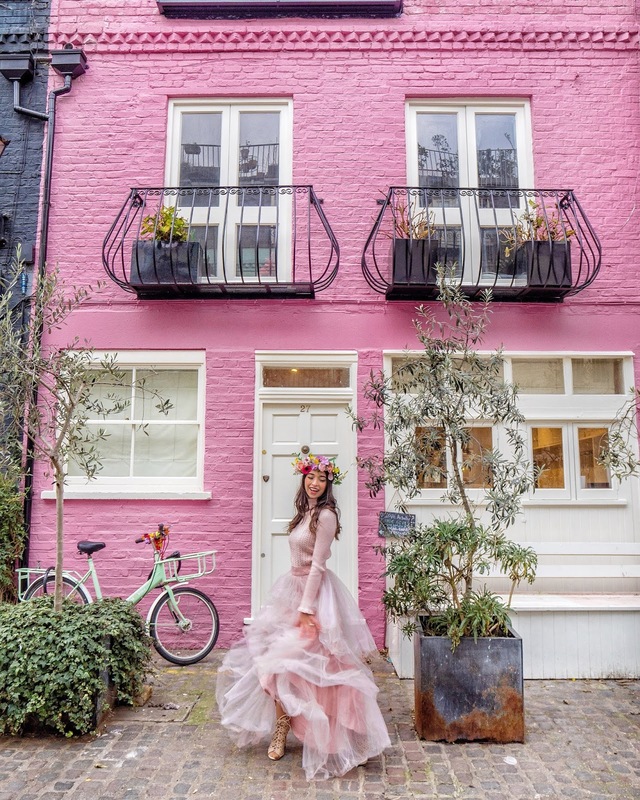 There's actually some really gorgeous colourful houses on this street in South Kensington, including this adorable pink and white one! It's adorable, especially when the yellow flowers are in bloom. Another fab cafe, there are Elan cafes dotted all over London now. 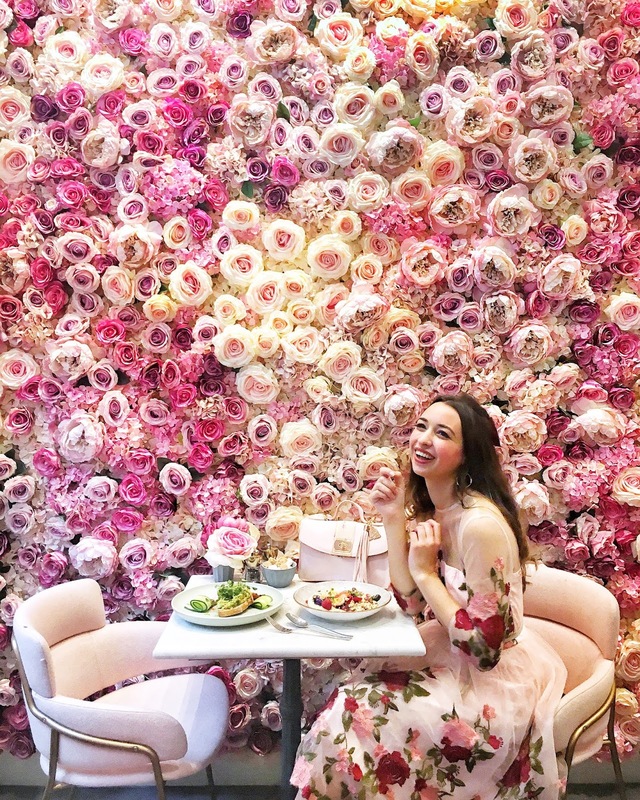 The above photo was taken at their Brompton Road branch but I also love both their Market Place and Knightsbridge ones as well. All of them are quirky, crazy unique and do some really delicious food too! I'd definitely recommend their smoothie bowl. I've said Hillgate Place, but it's technically all of the streets surrounding this area. Think an absolute rainbow of houses of all different colours and you'll get this street, including the adorable house above. 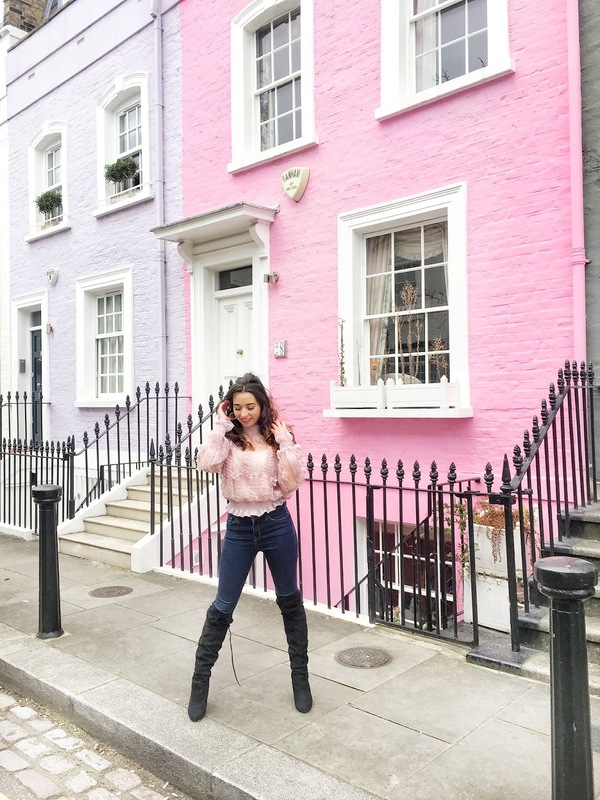 If you've got an outfit and you want to find a house to match, this is your go-to place for sure! 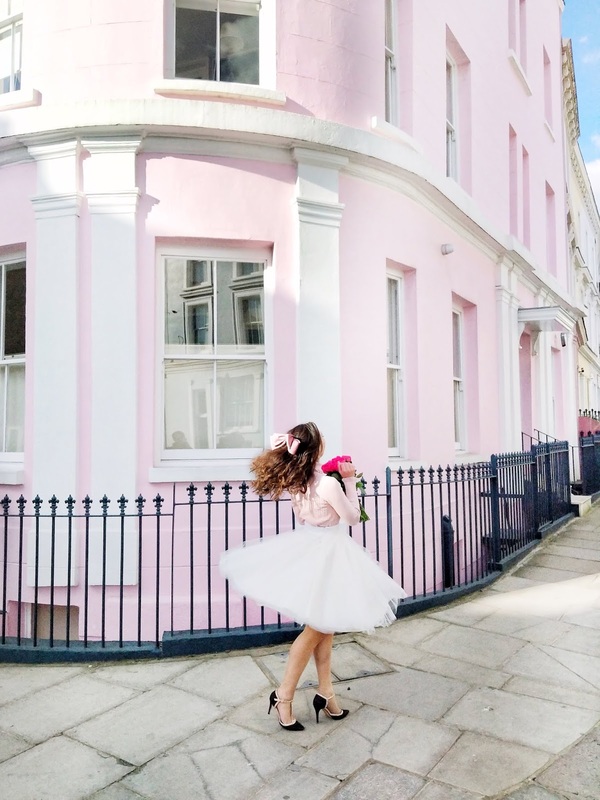 One of the most beautiful pink buildings in London, this huge, curved design is just magical! When I was shooting here I had a few people ask me if it was famous or if it was just because it was pink and of course it was just because it was pink. However, I think we should make it famous! 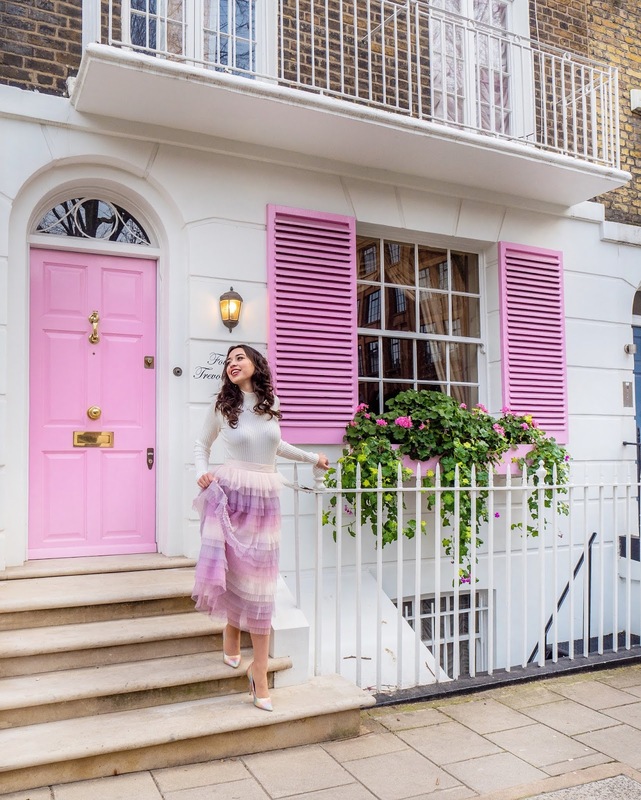 My all time favourite pink location in London, this is the house that was used in the iconic 'sign scene' in Love Actually! It's so pretty and insanely pink, so what else could you ask for?! The owners welcome photos providing you donate £1 to charity per camera, which I think is a wonderful idea. House, to me, you are perfect. Another gorgeous house that is actually called 'The Pink House', aptly! You can find this beauty near to the V&A museum on one of the back streets and it's so pretty! Another rainbow street, Bywater Street is just off of King's Road in Chelsea and again has a house of every colour, but the pink and purple are my personal faves!